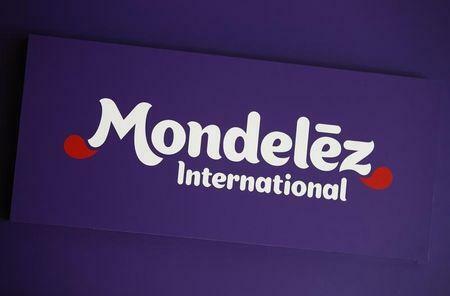 (Reuters) - Mondelez International Inc has agreed to pay $750,000, improve its product sourcing and testing, and hire a food quality auditor after failing to warn California shoppers that its Nabisco Ginger Snaps contained excessive levels of lead. In announcing the settlement with the maker of Oreo and Chips Ahoy cookies, California Attorney General Kamala Harris on Friday said testing revealed that a serving of the ginger snaps contained lead levels up to nine times the threshold requiring a warning under California's Proposition 65. She said that law, the Safe Drinking Water and Toxic Enforcement Act of 1986, requires a warning to consumers if they are exposed to 0.5 micrograms of lead per serving per day, and that Mondelez was not providing any Proposition 65 warnings. Harris said the lead sources in the ginger snaps were linked to ginger and molasses, and that Mondelez has reformulated the cookies. The probe began in 2013, and the $750,000 payment includes civil penalties, legal fees and costs. "Levels of lead found in Nabisco's Ginger Snap cookies posed a serious public health threat, potentially impacting the brain development of our children," Harris said in a statement. "Parents need accurate information to make educated food choices for their children." Mondelez in a statement said "we remain confident that these products pose no health or safety concern to consumers and that all our products are sold in compliance with applicable federal and state laws." It also said it was in the company's best interest to resolve the matter and avoid protracted litigation. The Deerfield, Illinois-based company's brands also include Cadbury, Ritz and Triscuit. The consent judgment outlining the settlement was filed on Thursday in an Orange County state court, and awaits a judge's approval, Harris said. A copy was not immediately available.